As the academic year comes to an end, several staff members prepare to leave. Hence, The Woodstocker caught up with some of them to dig into their thoughts and future endeavors. 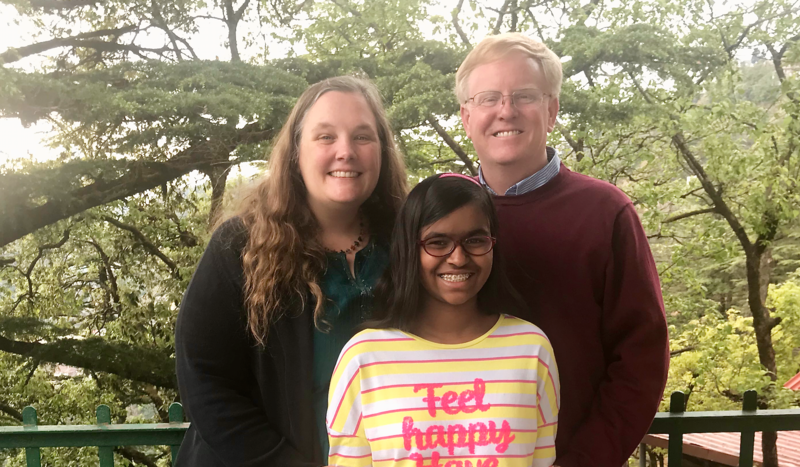 Mr. David and Mrs. Heather Webb, the married couple who came to Woodstock, seven years ago in July 2011, will be leaving the campus with one added member to their family: Jyoti Webb. Being in the classroom and teaching students is something Mrs. Webb loves doing. “Teaching students from ECP up until Grade 7, students can be very comical and joyous,” she said. Otherwise, she adores spending time with her family. “I have definitely become more crafty and resourceful, here at Woodstock,” said Mrs. Webb. For example, she organized a puppet show with the Early Years once and she realized that she had to make the puppets herself. “It was something I would have never done living in America but living in Mussoorie; I accepted it and learned from it,” said Mrs. Webb. She said that people “might not always get what they think they might need,” but it’s crucial to learn to adjust and be happy in what one receives. Despite having “many” angry moments, Mr. Webb also came across “many more” happy times. One of his funniest moments here was when “Ameya Singh, Class of 2018, dressed up as a pharaoh for Egyptian Day in her social studies class.” Mr. Webb said that he had no idea of “how good a makeup artist she was” until she came to class that day. Moreover, she said that the environment at Woodstock is all about love, and support which everybody gets through hard and difficult times.“That is where Woodstock really shines and will be something we want to seek when we go back to America,” she said.